Elderflower produces a lovely flower in spring in Ireland and I love to make elderflower cordial and freeze it to have during the winter as it is full of vitamin c and goodness. It tastes lovely too! Elderflower has a very delicate flower and I have tried to replicate that here. 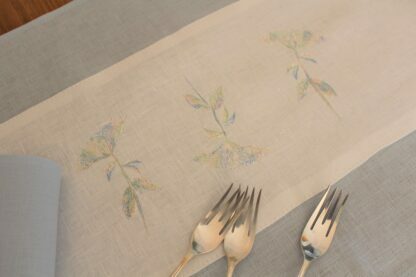 Made and embroidered in Wexford in Ireland’s Ancient East. 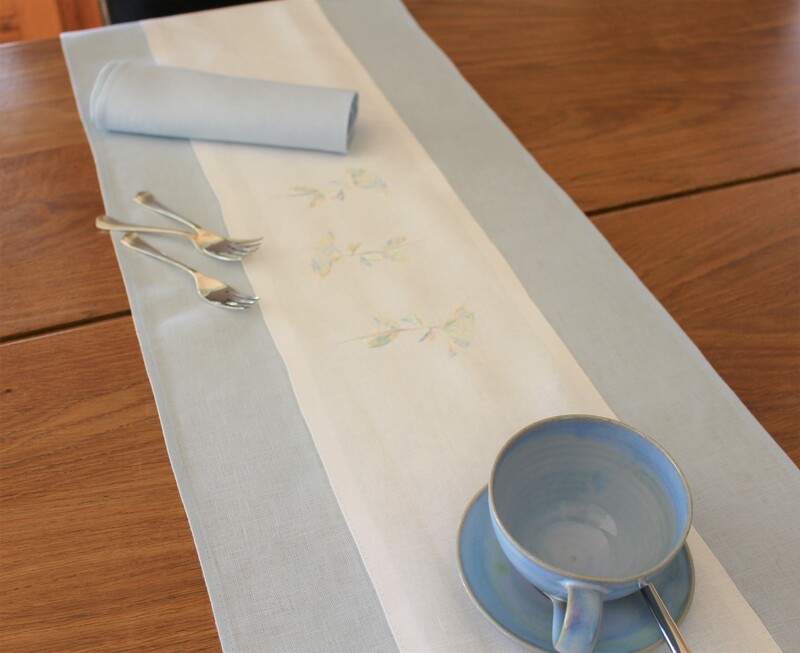 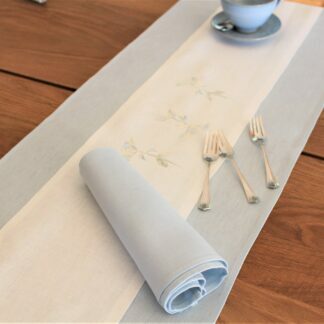 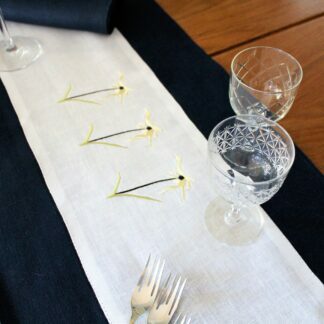 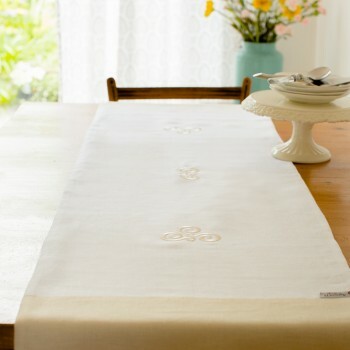 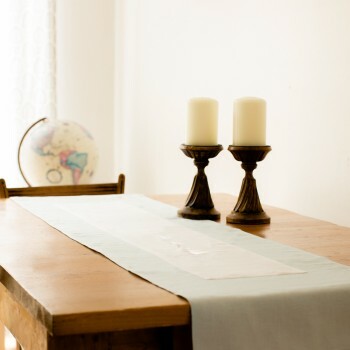 River daisies in lemon on navy/indigo Irish linen table runner. 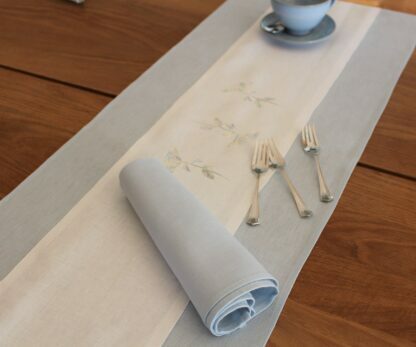 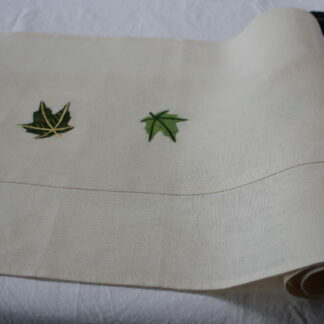 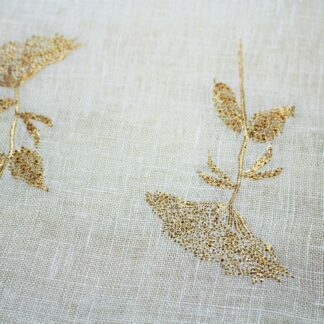 White and Ecru Irish linen with embroidered Elderflower " New"